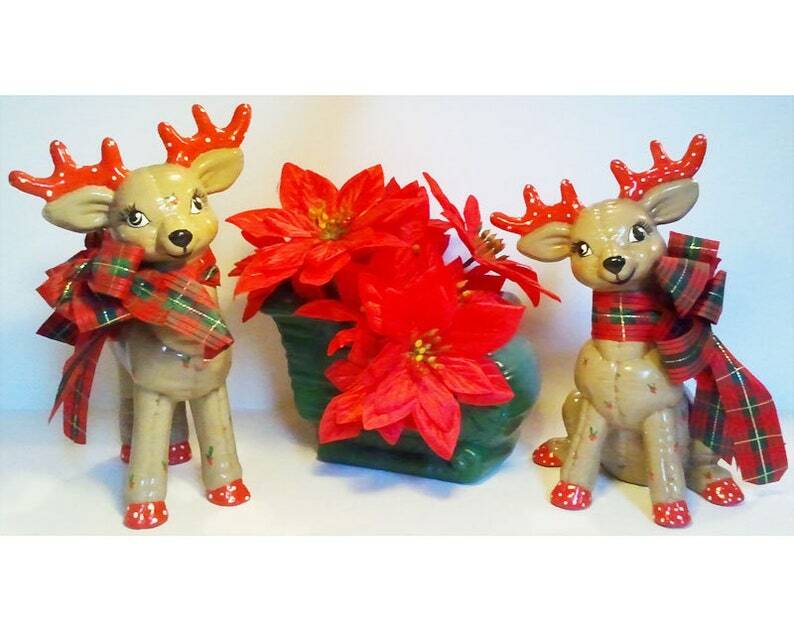 This vintage Christmas centerpiece consists of three hand-painted ceramic figurines, including a green sleigh with faux poinsettias and two reindeer. The reindeer are crafted with a quilted, stuffed animal look in tan and red with white polka-dots. The sleigh measures 8.5"L x 6"H x 5.5"W and the reindeer measure 11.5"H x 7"L x 6"W and 10"H x 6"L x 6"W. The sitting reindeer had its leg broken during a move, but has been repaired (see pictures).